Regardless of whether you consciously know it or not, you’re immersed and living out the stories of Disney every time you walk into a Disney Park. You’re escaping the fabled Yeti of the Himalayas when you jump on a train at Expedition Everest. You’re helping Mickey Mouse become a mapmaker as you watch “Mickey and the Magical Map“. The storytelling never ends for Disney and it’s so good that your reality willing steps aside all the while. It’s certainly great that Disney is taking the storytelling responsibilities at their Parks and Resorts, but you’d be lying if you said that you never wanted to be a part of telling that story, too. And although you won’t be able to physically attack the Yeti on Expedition Everest or join Mickey on stage to help him finish that map, the most recent announcement from Disneyland certainly opens up the door for you to get more involved in telling Disney stories. Although details on what exactly will happen during this new way of Disney storytelling, we do know the concept will be very similar to a concept that was previewed (or in Imagineering terms “play tested”) for attendees of the D23 Expo last year where a very enthusiastic cast member would very much treat you as one of his/her own letting the story play out as if it were real life. It was all really believable and we’re excited to hopefully see that occur with this new experience. 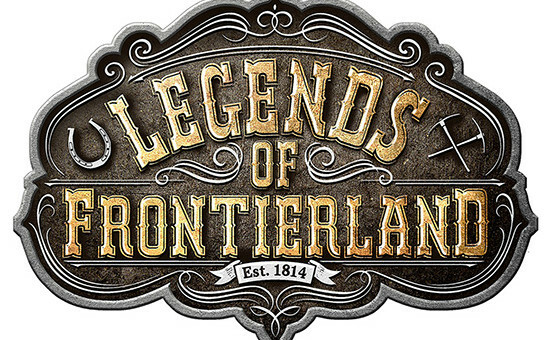 Be sure to follow us on Twitter, Instagram, and Facebook on July 9 as we take part in the new Frontierland experience “Legends of Frontierland: Gold Rush!” at Disneyland Park. We’ll be posting all the noteworthy updates to those accounts so you can see if you’d be a good Disney Parks storyteller! Disneyland touts that this experience will be “a whole new way to experience a land in a Disney theme park,” possibly meaning this concept could make its way into other lands at Disneyland and even into other Disney Parks. Are you eager to see it all come together? What are you expecting? Tell us in the comments below! Previous story Long Live Hand-Drawn Animation! Next story Say “Hakuna Matata” To Summer Fashion!